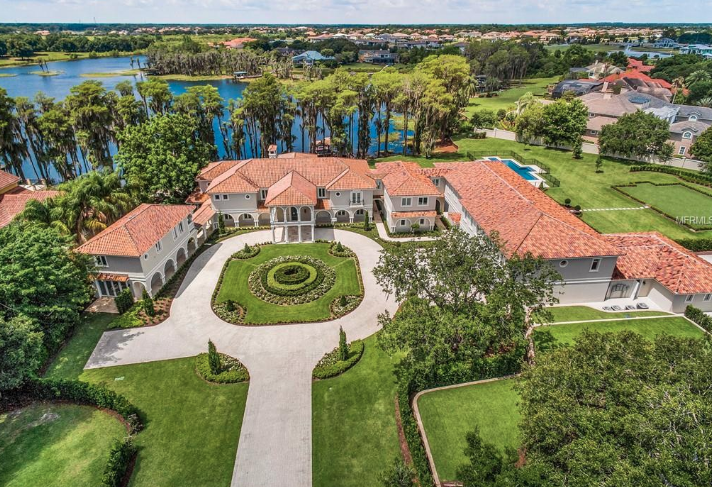 This 2.75 acre lakefront estate is located at 12488 Park Avenue in Windermere, Florida. It features a main house with separate guest wing and semi-detached guest house. It was built in 1999 and has since been remodeled. It features approximately 13,425 square feet of living space with 10 bedrooms, 12 full and 5 half bathrooms, 2-story foyer with double staircase, 2-story great room, formal dining room, gourmet kitchen, family room, game room, home theater, gym, indoor spa, 9-car garage and much more. Outdoor features include a porte-cochere, balconies, patios, swimming pool with spa and a boat dock. It is listed at $16,600,000.